More than 300 alumni signed the letter delivered Monday to Teach for America’s leadership, asking it to stop “pressuring” young teachers to break a strike that could come next week. The Associated Press obtained the letter sent to a nonprofit known for placing high-achieving college graduates without formal teaching training into two-year educator jobs in low-income communities. Payton Carter, a 1999 Teach for America alumnus and current Oakland teacher, said he was outraged that members may lose an award worth $2,000 to $10,000 — a financial incentive the nonprofit uses as a recruiting tool. Spokesman Jack Hardy said Teach for America didn’t provide recommendations on what its 58 teachers should do in the school district, where a possible strike would affect 36,000 students. He said there’s a misunderstanding on the guidance it communicated outlining rules from AmeriCorps, a federal service program that bans striking and provides the awards after teachers apply for them at the end of their two-year service commitment. “We don’t have a position on the strike or organizing. Our corp members, we stand behind them, we stand beside them. Our goal is to help them be successful,” Hardy said. 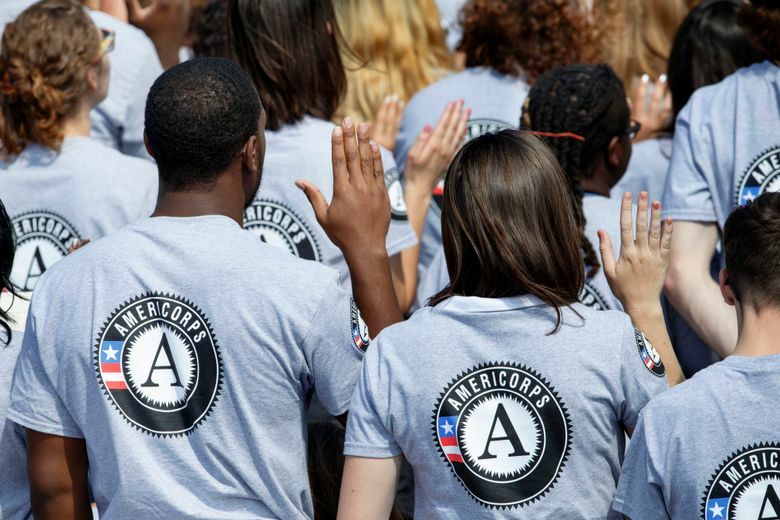 AmeriCorps spokeswoman Samantha Jo Warfield said striking is prohibited but that in these circumstances, it’s up to Teach for America to decide how to handle picket lines. Hardy said Teach for America offered the same guidance during a strike last month by Los Angeles teachers in the nation’s second-largest school district and is exploring if it could help supplement an AmeriCorps education award if a teacher loses it. Teach for America has for years faced criticism and skepticism from those who call the education reform model disruptive to traditional public schools. Critics say it recruits underprepared or ineffective teachers who may see the two-year stint as a feel-good stepping stone rather than a career path. Though the nonprofit vets its corps members for teaching jobs in underserved schools nationwide, the new teachers become employees of the school system and many join the teachers union. Will Corvin is in the second year of his Teach for America stint and said all of the corps members working with him at Oakland High School chose to be in the union. The history teacher said he wants to support the possible strike to get better work conditions for all teachers and to show his appreciation for the colleagues who have helped him by sharing their lesson plans, curriculum and mentorship. “I really want to help these veteran teachers who helped me so much and also help myself by getting a better wage,” Corvin said. 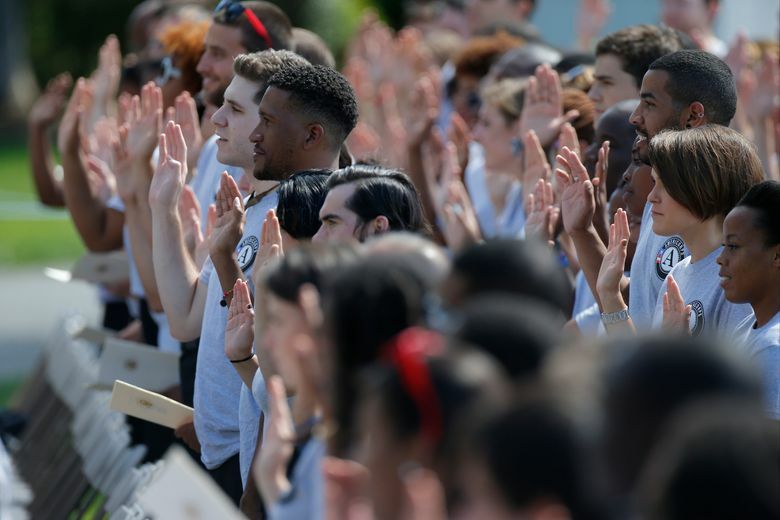 Teach for America is by default forcing its members to make a political decision without a choice, said Ismael Armendariz, first vice president of the Oakland Education Association, which represents about 3,000 teachers. “It’s also a political action to cross the picket line,” said Armendariz, who is a special-education teacher and 2012 alumnus of Teach for America. Oakland teachers have voted to authorize a strike if their union can’t reach a deal with the school district on pay raises and smaller class sizes. The district faces a $30 million deficit and has offered a smaller pay bump than teachers are demanding. No strike date has been set, with both sides waiting for a report from the Public Employment Relations Board that’s expected by Friday. Oakland teachers are part of a wave of educator activism nationwide that started last spring. Teachers in Denver are in the second day of a strike Tuesday.